Generators, Charlotte | Mister Sparky by Wise Electric Control Inc.
Be ready for the next power outage in Charlotte by calling us for information on generators and professional, reliable installation. 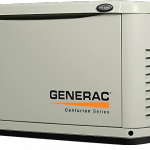 We sell “Generac” generators. Please visit Wise generators and Sparky generators to learn more. There is nothing quite as nerve-racking as having the power go out and having no idea when it will return. It is particularly concerning when you have a refrigerator and freezer full of food that will spoil if the electricity stays out for too long. We count on electricity for so many things that even a short outage can be quite inconvenient. 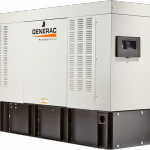 That is why more and more Charlotte, North Carolina homeowners are having generators installed. At Mister Sparky by Wise Electric Control Inc., we can help you with getting familiar with generators and getting one properly installed. 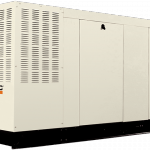 There are many options for generators, including fuel types and output ranges. The most reliable type of system is a wired one. Generators that are part of a wired system are the safest both for you and your family, as well as line repair technicians. Improper use of generators allows power to backfeed into utility lines, which can prove fatal for those working to get power restored. We can set your wired system up to switch on automatically or manually. If you have questions about generators, feel free to give us a call. 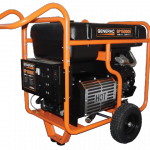 We will be happy to advise you about generators and how to choose the right one for your specific needs. Generators are a valuable upgrade to your home and could prove to be invaluable during a prolonged power outage. The important thing is having the generators installed properly to ensure they are safe and adhere to local, state, federal, and other codes and regulations. We have nearly 30 years of experience with generators and other electrical services, so you can be sure that your home is in capable hands with us at Mister Sparky by Wise Electric Control Inc.
At Mister Sparky by Wise Electric Control Inc., we offer services for generators in Charlotte, North Carolina and all surrounding areas, including (but not limited to) Cherryville, Concord, Cornelius, Davidson, Denver, Gastonia, Huntersville, Indian Trail, Matthews, Mooresville, Troutman, Hickory, Lenoir, Newton, Sherrills Ford, Morganton, Terrell, and Statesville.